Writing with “a delicate, beautiful balance of wit and yearning” (#1 New York Times bestselling author Elizabeth Gilbert), Rebecca Barry’s poignant take on creativity, marriage, and motherhood will make you laugh and cry—sometimes at the same time. When Rebecca Barry, writer, mother, cat lady, and aspiring meditator, and her husband moved to upstate New York to start their family, they were optimistic that they’d be able to build a life they’d love: one connected to nature and extended family, one where they could invest in their artistic dreams, spend time with their children, live cheaply, and eat well. Naturally, things didn’t turn out to be so simple: the lovely old house they bought to fix up needed lots of repair, their children wouldn’t sleep, and the novel Rebecca had dreamed of writing simply wouldn’t come to her. Yesterday morning I was very pleased to see that my horoscope is great for October. My favorite astrologer is Susan Miller because not only does she seem uncannily accurate, she writes my horoscope as if she is looking out for me, personally. She’ll say things like “Dear Pisces” (and I read “Dear Rebecca”), “You may have been feeling like you’ve been working hard and getting small returns,” and I think, As a matter of fact, I do feel like I’ve been working extremely hard for small returns and I’m so glad someone finally noticed! Then she’ll say something like, “Don’t worry. That was because there was a quinzbykz in your something house”—my words not hers—”but now things are about to change in a big way!” And then I’ll think, Excellent! Maybe I’ll win an award. And I’ll be happy until I realize that the horoscope is for all Pisces, not just me, and since Pisces tend to be creative people, all of us are headed for a good month and not all of us can get a Pulitzer. Still, it makes me feel like I have something to look forward to, which in general is a pretty good way to live. “That doesn’t mean it was bad advice or that it wasn’t true,” I said. My younger sister, Emily, a therapist and yoga teacher who lives in Oregon, agrees with me. She and her husband had their charts read to figure out what would be the most fortuitous time for their wedding. (“I’m hoping they’ll be told it’s at six o’clock,” said my father, who is a very literal person. “What if they’re told to have it at three in the morning? I’m not staying up that late.”) Luckily that did not happen, although the astrologer did get a little uncomfortable when she read their charts. “Are you sure you two want to get married?” she said. “Really? Okay. If you insist. Go for June.” June was beautiful, and they are still married, so obviously, the point is, horoscopes work. Anyway, this month is supposed to be great. All kinds of special days and career leaps, etc. It’s perfect timing too, because I love October. I love the dip in temperature, the way you can smell apples, grapes, and turning leaves. The way the wind seems to pick up and excitement swirls through the town around Halloween. “Things are going to be looking up around here,” I said to my husband. He was in the kitchen/playroom that is upstairs near the bathroom because we are still renovating and haven’t moved our kitchen downstairs. I was in the bathroom, trying to keep the boys, who were in the bath, from drinking the bathwater. “Don’t drink that!” I said. Dawson, who is nineteen months old, just laughed and took another gulp. Dawson is one of those alarming children who just doesn’t seem to care about winning adult approval. He’ll knock over his brother’s trains and then climb up on the naughty chair and sit there with a pout on his face he made up, wait about a minute, get down, and knock over Liam’s trains again. “Dawson!” I’ll say, and he’ll put himself back in the naughty chair and put on his fake contrite look. It has nothing to do with making us happy or being sorry. I think he just likes to sit in the naughty chair and pretend that he feels bad about it. “What?” said Liam. This is what he does when I say something he doesn’t like. He just keeps saying “What?” until I say something different. It’s not a bad tactic, actually. “You heard me.” I went into the playroom and handed my husband the baby. “My horoscope says my career is going to explode this month,” I said. But who wants to work when it’s so beautiful outside? When the leaves are turning and the air smells like wood smoke and apples, and people are canning tomatoes and the trees are so yellow and orange it’s almost as if they can’t contain their own light? In the bathroom, I could hear water draining from the tub. “Are you ready to get out, Liam?” I said. “I’m just letting Dawson’s pee out of the tub,” he said, and took another swig of bathwater. Yes, I’m afraid I did. If you want to drink pee, that’s okay with me. So. This is going to be a great month. 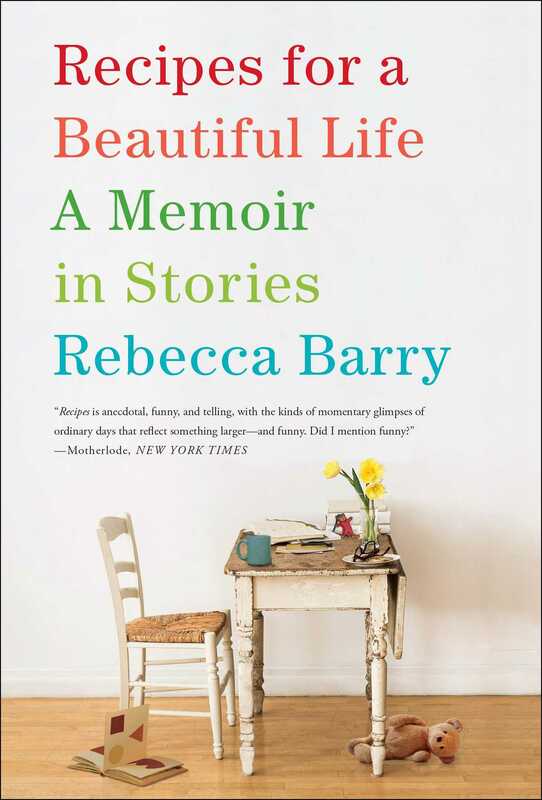 Rebecca Barry is the bestselling author of Recipes for a Beautiful Life: A Memoir in Stories and Later, at the Bar: A Novel in Stories, which was a New York Times Notable Book. Her nonfiction has appeared in numerous publications, including The New York Times Book Review, The Washington Post Magazine, Seventeen, Real Simple, Food and Wine, Saveur, More, O, The Oprah Magazine, Hallmark, and The Best American Travel Writing 2003. 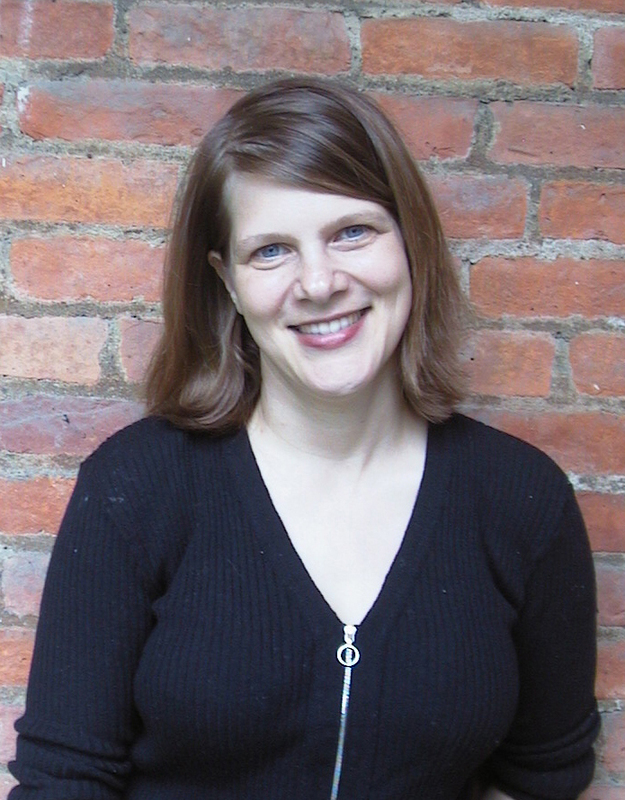 Her fiction has appeared in Ploughshares, One Story, Tin House, Ecotone, The Mid-American Review, Best New American Voices 2005, and was shortlisted in Best American Short Stories 2000, 2004, and 2009. She is also a writing coach, and cofounder of the magazine Fresh Dirt. "Barry's writes about writing, while balancing two children with her other arm. It's raw and true, heartbreaking and naked. And in the end it's the story of all of us who strive and settle, grunt and bear it, while still managing to laugh. Which is easy, cause Barry is sly and very, very funny." "This is not a parenting book, but those who are in the thick of early motherhood will appreciate this book, this Not-A-How-To-How-To collection of stories that expose the sordid details of marriage and parenthood, the ones that lie behind the scenes of a life that seems romantic and wonderful and magical to everyone else. And the stories are funny because they are true. I know Rebecca Barry. I am Rebecca Barry. I know dozens of Rebecca Barrys. We Rebecca Barrys dream a world of farm shares, starlit summer skies, neighborhood coffeeshops, family nearby, friends at the ready with wine and cheese and bread and company."